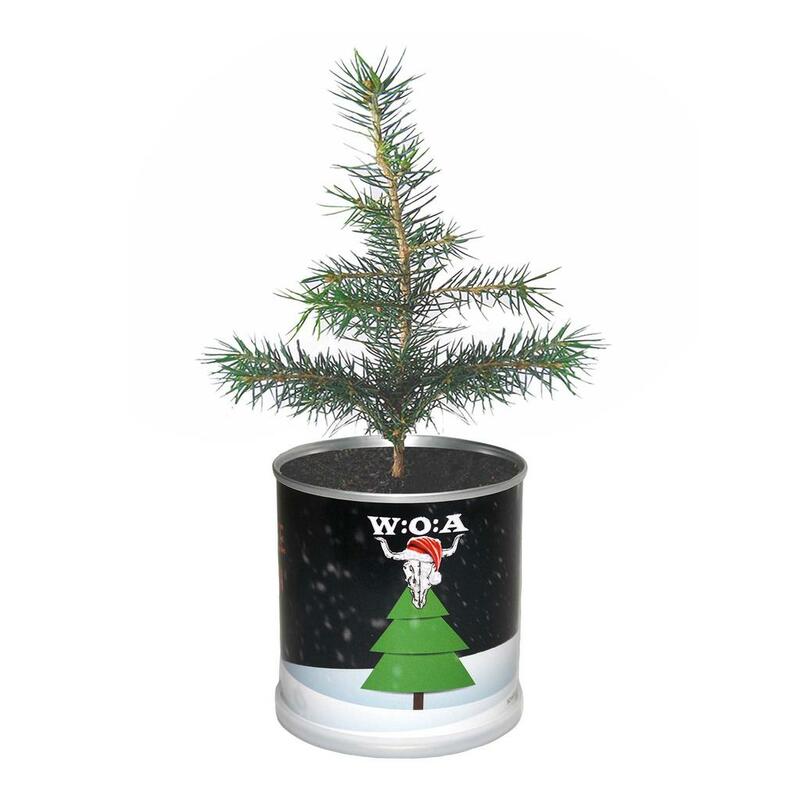 The slightly different christmas tree comes in a small can in a W:O:A design. 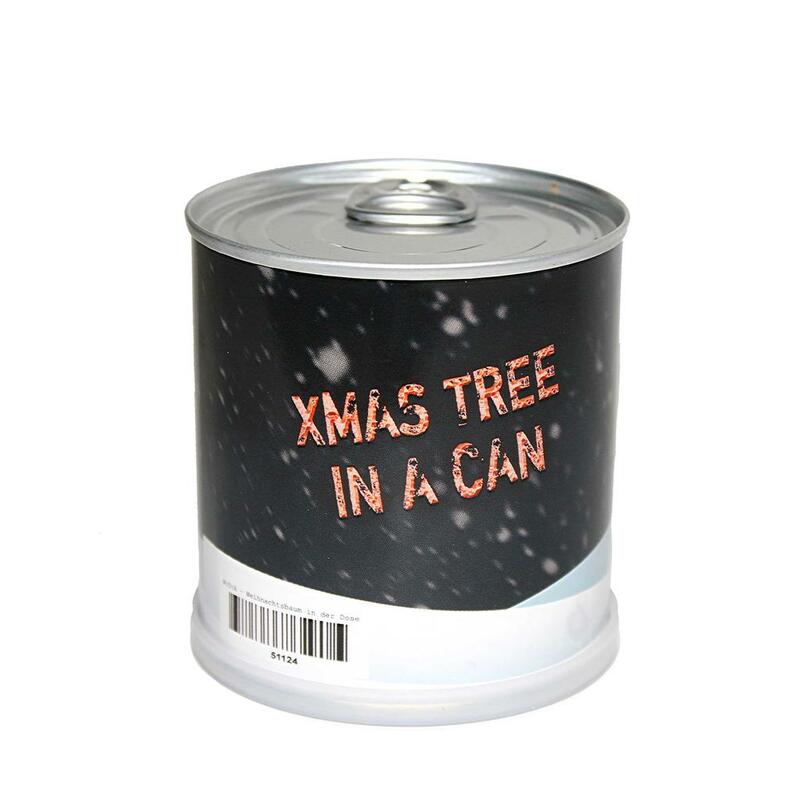 Just open the can, carefully water the contained granule and with a bit of patience there will grow a christmassy plant. 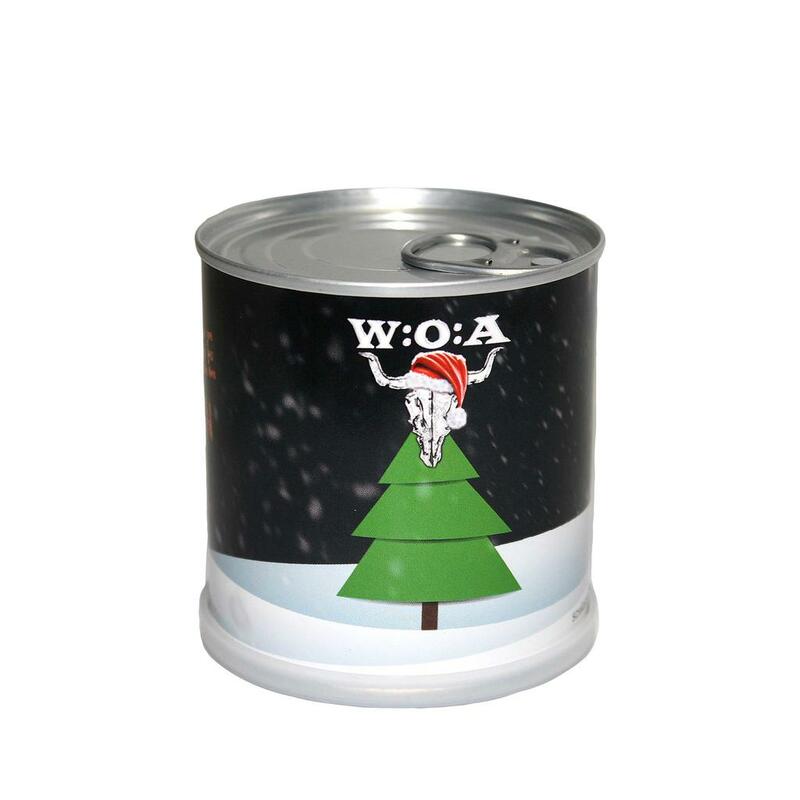 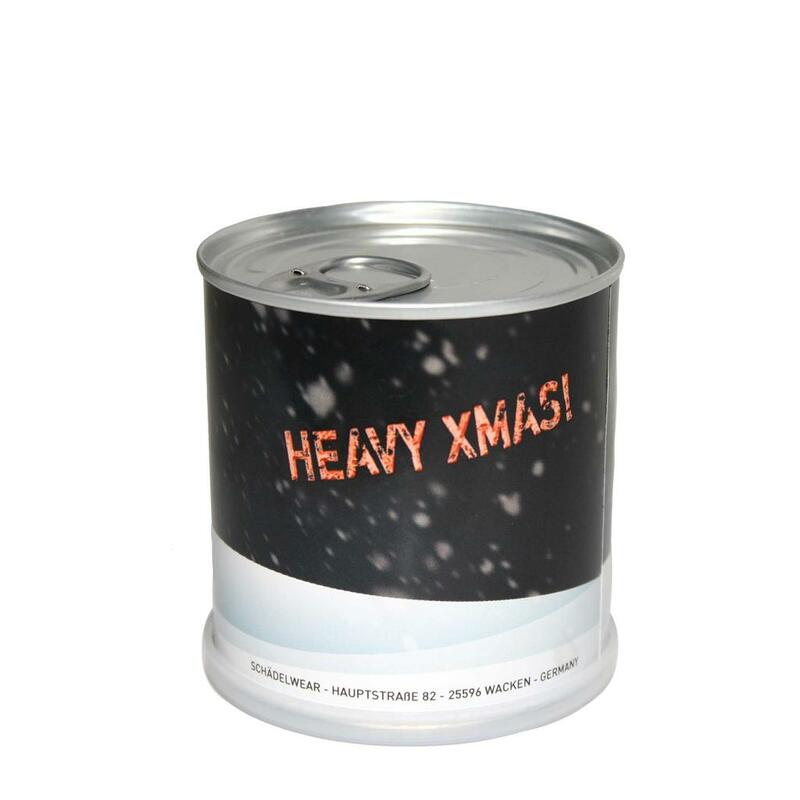 The can is printed with a christmas tree, that is decorated with the bullhead and a W:O:A lettering and the slogans "HEAVY XMAS" and "XMAS TREE IN A CAN".